Twenty-two months ago Notre Dame athletic director Jack Swarbrick was in the throes of a full-blown crisis surrounding the Fighting Irish football program. The team had just completely stumbled to a 4-8 record shattering the floor that some believed could never occur under Brian Kelly, the program was without a defensive coordinator following the prolonged disaster (and subsequent firing) of Brian VanGorder, while plenty of arrows were flying Swarbrick’s direction for his apparent lack of public acknowledgment–and responsibility–for the situation in late 2016. When Swarbrick finally stepped into the light on his radio show on December 3, 2016 he mentioned it was ‘business as usual’ for the football program and that he never looked at one season in isolation as the 2015 season was ‘one of the best coaching jobs he’d seen’ in his career. 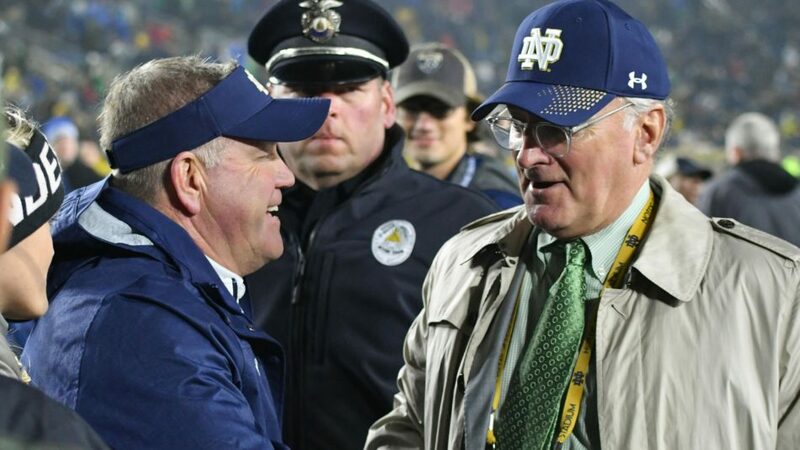 To be sure, Swarbrick’s comments ruffled some feathers insofar as they were a complete backing of Brian Kelly in addition to being, at least a little bit, somewhat tone-deaf to the frustration of fans who wanted more concrete answers to Notre Dame’s problems. 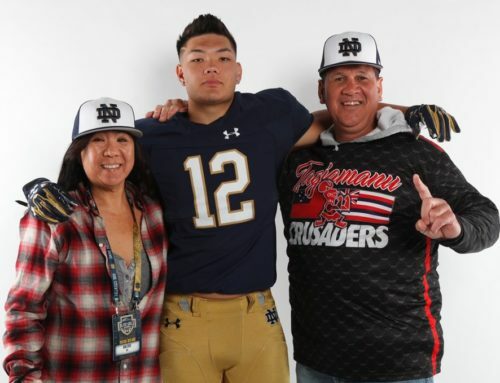 In many circles, the Irish appeared ripe for major changes all throughout the football program, including a good hard look at the head coach. Swarbrick’s apparent calmness and public vibe that everything was fine flew in the face of the swirling turmoil. 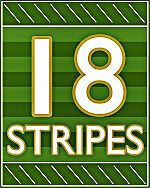 Throughout this time, our 18 Stripes staff remained mostly ambivalent. Some agreed Kelly should be fired or that it was time to move on although the prospects of finding the next head coach weren’t very exciting*. Some agreed he should probably remain in South Bend although that very ambivalence about the situation was a really poor sign for the future. *In late November 2016 we published The List of 30 coaches who could be realistic options to take over for Brian Kelly. Since then, 5 of those coach’s have been fired, 3 are inching closer to being fired, and while a couple have maintained their lofty status (Dabo Swinney, Chris Petersen) and weren’t that realistic to begin with there’s only a couple coach’s from 30 a year-and-a-half later that have clearly improved their programs: Jeff Brohm and to a lesser extent Justin Fuente. Not coincidentally, many people were in favor of those two. I leaned towards the former group of a firing but wasn’t too stressed about it because I felt Kelly’s tenure was coming to a close, 2017 would tilt the balance, and if needed the program would have a full year to find a replacement as the buyout decreased by several million dollars. An extra year to get the right hire wouldn’t have bothered me one bit. To be fair, Swarbrick wasn’t nearly as calm about the situation after he green-lit extensive changes to the coaching staff outside of Kelly. 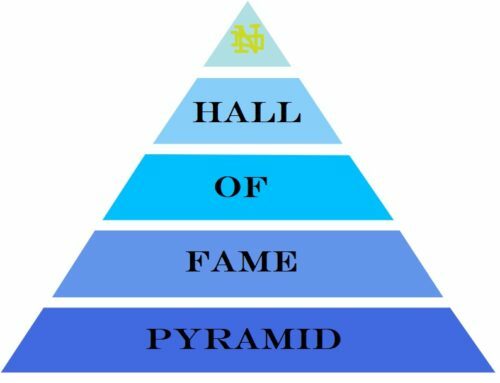 Swarbrick’s patience with this situation took a lot of guts and his doubling down–not just on Brian Kelly but a full 2.0 rebuild of the staff and program–has paid off to a degree most didn’t see coming. Since the beginning of 2017 the Irish are on a 17-3 run winning 85% of their games while matching the best 20-game streak of the Kelly era that previously stretched from October 29, 2011 through August 31, 2013. Needless to say, the coaching carousel doesn’t appear to be coming to South Bend any time soon. I’ve been utterly convinced that the end of Kelly’s tenure would be full of bitterness and acrimony and yet today the path forward appears as smooth as any since November 2012. The Irish are winning, the facilities have been upgraded in a way that seemed ridiculous a decade ago, the assistant coaches are thriving, and recruiting remains productive with quality player development. Nearly everyone who doesn’t have an ax to grind with Notre Dame agrees that it’s a really difficult place to win today but is it possible we’re underselling the appeal of this job as head toward the 2020’s decade? This brings up an interesting possibility of Kelly’s “good times” occurring as both he and Jack Swarbrick near retirement. Notre Dame’s AD is currently in his 11th year with the program and is over 7.5 years older than the Irish football coach. How much longer will Swarbrick be around? Additionally, the current contract for Kelly expires following the 2021 season which means in the modern game of “why let anyone negatively recruit you” he should be due another extension some time this December. Maybe it’s just a one-year extension but even if it’s longer it’s pretty crazy that we were talking not that long ago about Kelly’s shrinking buyout in relation to a coaching search and the school may be adding an additional $10+ million to the ticket relatively soon. With a two-year extension, Kelly’s new contract would take him one year removed from when he said he’d be on the beach sipping mai tai’s for the 2024 game against Texas A&M. Is it fair to predict Kelly will now be the longest-tenured Fighting Irish head coach in school history? Will he put together 3 more seasons beyond this current campaign? Are we moving towards a most likely scenario where Kelly will retire from coaching and step away from Notre Dame instead of being fired? One thing is certain, thanks to the even-handed justice of the NCAA there will be no run at Rockne’s wins record. Without the NCAA’s prudence, Kelly would be moving within ~25 wins of the school-record mark near the conclusion of this season. Instead, he’s still just half way toward the record. For Swarbrick, he will have to juggle how much praise (and money!) to dish out to the current coaching staff because he may not be around to see the end of those decisions, and there’s also a harsh lesson at Notre Dame, that what looks good today may not necessarily look that way tomorrow. Everyone making those high-level decisions in South Bend right now has to weigh those concerns. As difficult as it may be for some to think right now, imagine a 10-3 finish to this 2018 season. Now what does the future look like with regards to million dollar contracts? I’m still not sure where I stand on “Kelly 2.0”. If we’re talking about 22-3 or 21-4 over the past 2 years, then I think we can truly say that a corner was turned. But we’ve had good starts under Kelly in other years that have turned south, so I really just want to see that he can keep it all together in the last month of the season. I hope he does, of course, but we thought things were looking good in 2014 in Tallahassee, and that we were just a step away in 2015. I still don’t see anyone better that is attainable. He definitely has flaws, big flaws, but all of the other guys do to. Except for Darth Saban, his only flaw is winning every damn game. I’m liking what I’m seeing from Brohm. I would like to see more though. I like Brohm a lot. He has drastically improved recruiting at Purdue. They have gone from 71 nationally for 2017, to 52 for 2018, and are currently at 25 for 2019. Will be interesting to see how long he is there before someone bigger and better snatches him up. Rumors of a homecoming to Louisville are already getting pretty loud. I don’t know if Louisville can afford to get rid of Petrino though all things considered they must want to…And usually where there’s a will there’s a way. Interesting, didn’t realize he went there. Makes sense since his little bro tore it up there. I’m now assuming this is a foregone conclusion that will happen by the end of 2019. IMO, Brohm should aim higher and jump from a better job than Louisville from Purdue. At present that’s not really much of a better job. That’s also very true. Outside of sentimentalism or the urge to go home there’s not really that much of a professional reason to go to Louisville with the way his star is on the rise and the potential to get a much better offer. I agree Louisville is a lateral move at best. But don’t we see a lot of people do this? Harbaugh made a step down. Fitzgerald, Gundy, Frank Beamer are all guys who come to mind who could have probably moved on to bigger jobs if they had wanted to. I feel like it isn’t a crazy thing to make a lateral move to your alma mater. Are there any bigger programs that are likely to make a hire by the end of 2019? Seems like all the blue bloods are either doing well, or just hired a new coach. USC might want to look at Brohm. On your list, Gundy has flirted with it. I’m not sure he’s the best example of “staying loyal to the ol’ Alma Mater” because he’d fought quite a bit with T. Boone Pickens and has floated his name for some jobs, even if it was just a tactic to get leverage against the school and T. Boone. It seems he’s pretty content there now, though. Might want to pump the brakes until we get through November, especially given 2014/2017. I think we can safely say it was a correct call if we go 11-1 or 12-0, as that would be 20 regular-season wins in two years. (I believe a couple years ago I said 20 regular season wins in the next two years would be the criteria for clear success. I thought there was little chance of that. Odds are, I was wrong.) But if and until we get there, well, we haven’t gotten there (I think we’ll get there). In any case, assuming even a 12-1 season (either 11-1 and a NY6 win or 12-0 and an L in the semifinal), that’s a 25-13 3-year span since the last extension. Is that really extension-worthy? That’s non-obvious to me. Of course, the trend would be very positive for the record and, in that case, this would be the second-best season since Holtz, but, still: we bought high after 2015, and we’d be buying high after this season too. I suppose it wouldn’t hurt asking for recruiting purposes if he’ll sign a deal that doesn’t bump up his buyout, but I presume he wouldn’t take it. This year very likely makes three 10+ win seasons out of the last four years. That’s definitely worthy of an extension in this day and age. Okay, so with 10-2/11-2/10-3 this year you don’t think there would be or should be an extension? I think there’s a very, very small chance that happens. If we lose two of the next five games, a (buyout-increasing) extension shouldn’t even be a legitimate consideration. If we lose one, it’d be nice to see how the bowl game goes, but I wouldn’t be surprised or even particularly annoyed if they gave him one – I’d probably feel the same way about it I did after the 2015 extension, which was that it was probably premature but understandable. If they go 12-0, I would expect and probably be supportive of an extension before the playoff, but my point is that his overall performance since the prior extension, even with a 12-0 season, hasn’t been *that* good. Of course, 4-8 is doing a lot of the work there, but 4-8 is about as bad as 12-0 is good. That’s an exceedingly high bar. Maybe it should be that way (coming off year nine) but basically “put together one of the 2 best seasons at this school in the last quarter century or no extension” when a small extension is probably painless seems exceedingly unrealistic. Look at it this way: If we lose to Florida State and USC, for example, then lost in a NY6 bowl and went 8-4 next year (totally possible with the upcoming talent loss and next year’s away-game schedule), it will assuredly be time for a change in December 2019. I understand there’s basically mad money in college football right now, but they’d regret adding $10-20M to that buyout to ensure a couple recruits don’t have second thoughts. When that ol’ bandwagon starts rolling it always feels crappy to me to pump the brakes, being an enthusiastic person. As well being mostly an admirer of BK’s positive traits as I see them (CEO style, works within the ND values system, recruits good guys on the team who mostly seem to develop even more that way, went all in to reinvent after ’16, etc.) I really hate to mash that brake pedal. But after Tallahasee (though we did get screwed), BVG, Palo Alto ’15, BVG, the Turnover chain, BVG… guess I too have to be in the let’s wait and see crowd. Having said that, I saw plenty of other seasons under admired coaches go south after heartbreaking defeats (Ara and USC multiple times, not to mention Purdue; Lou and Miami ’89 and BC ’93). So I guard a faint flicker of hope that it will all work out OK… and to get the point of this thread, that an extension will be fully merited by all our opinions. What were/are the rules about # of regular season games and what exactly keeps changing? 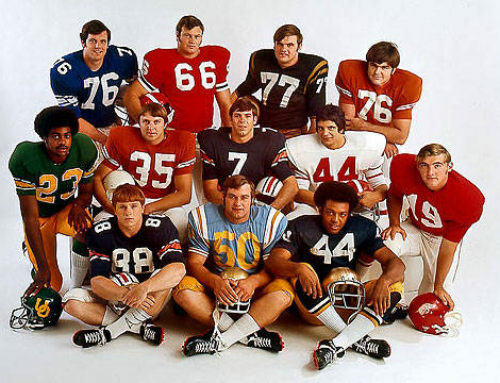 We played 10 prior to ’74. Then mostly 11 until 2002 (we also only played 11 in 2005). But we played 12 in ’89, ’91, ’97, ’99. Why was it so inconsistent for a stretch? Were we playing Hawaii a lot? [shrug emoji] NCAA rules and such. In 91 and 97, we did play Hawaii. Not in the other years. 89 we played UVA in the Kickoff Classic, which was an “extra game” in those days. Wikipedia says 1999 we played the “Eddie Robinson Classic” at home, but I guess that counted as an add-on “preseason” game like the Kickoff Classic did. There were also a couple of years in there (2002-03 for instance) where there was an ‘extra’ Saturday of CFB season just due to the calendar, and at the time you were allowed to play 12 games those seasons even though the standard was 11. There will be another one of those next year and in 2021, which I think is why we agreed to Labor Day games in each of those seasons (gives us 2 bye weeks those years). Harsh critic of Kelly here. I called for his firing in 2014 and 2016. But let me ask this: why are we talking about not extending him at the end of November? That seems crazy to me and as long as he’s at ten wins by then we should extend him. 1. First back to back ten win seasons in 25 years. 2. Willingness to change staff and scheme philosophies. 3. Shortage of other qualified candidates, as noted in 2016 and now. 4. Low cost of a two year extension relative to profits (in excess of 30 million a year. That’s profit, not revenue) from having a good head football coach. When your look at those last two items, you realize short extensions are just a cost of doing business. Not extending Kelly would be a slap in the face and another school might make a serious attempt to hire him. So yes, wait until the end of November for that extension. But don’t get cheap then if he’s won ten games. Well put, and I concur entirely. This is probably an 11/12 win team and the third time in four years ND has been relevant and a playoff contender in November. That’s encouraging and good work in the post-Lou reality of the college football landscape. That type of performance is naturally going to come with the reward. It’s a bit jumping the gun to move to right to extension now, but I do think it’s important that this piece is written to show how much of a change/bounce-back from 2016. Swarbrick looks like his decisions are vindicated no matter how the season quite turns out, sticking with Kelly was probably a wise call based on the results since then. Like Eric wrote, what looked like turmoil has become a smooth program in the past two seasons. Yeah, I’m making the assumption (and definitely just that) that Kelly is “changed” and won’t turn a blind eye to clear underperformance (as the defense did in 2015) anymore. I realize that’s a strong assumption, so really, for me, (1), (3) and (4) are the reasons to keep him. Though the willingness to pull Wimbush for book at 3-0 this season supports the Kelly has changed narrative. Additionally, Kelly has most of the leverage in negotiations. That’s a little scary on ND’s side but no extension with anything 10-3 or better is a massive gamble for ND too. If we don’t extend Kelly, where would he realistically go? Say Swarbrick has a heart attack tomorrow and an NDN poster becomes AD and refuses to extend Kelly. Does Kelly shoot his shot for the NFL again? Does he try to sneak in behind Malzahn at Auburn? What would be his best play? That’s a good question. Certainly Notre Dame could call his bluff in this situation IF they wanted to risk the negative recruiting aspect to it. There have been rumors swirling that the Browns are interested in Lincoln Riley. Guess they could make a run at Kelly instead. By the way, great article, Eric. Love the big picture pieces you write. Thank you. But also, because I’m a crazy person: could you speak in more concrete terms about how this affects our ability to find Kelly’s eventual replacement? Has to open up a better set of candidates with better facilities, recruiting, and win percentage, right? Hire Mike Sanford. With Charley Molnar as OC and Chuck Martin as DC. Anything else I can help you with? Right. Your first and second phone calls are to Mike Sanford. But when he declines because of the great position he’s in, do you call Chris Peterson? Back in 2016, I was sure 2018 would be Kelly’s last year. Things have changed! As the Top 30 list we did, as flawed as it may have been, showed I think the coaching landscape looked pretty awful in December 2016. What we’ve seen since kind of backs that up. I’ve always tended to think stability at Notre Dame would be one of the best poker coins to use for a future replacement. Kelly has definitely proven at times (2014, 2016) that things got away from him and it wasn’t very stable. But right now, his arc has bounced back and I think the university is in a great position. They’ve showed patience, maybe a little too much patience, but like I’ve said in the past they’re hiring a football coach and not one of the Notre Dame fans off the street. I thought about adding this into today’s piece but didn’t know how to fit it. Are we sure Kelly won’t have a mini-Mike Brey run at Notre Dame? Both guys had some road bumps in their early/mid-50’s, it seemed like they’d be let go, then they evolved into something much stronger. Brey’s timeline is much more stretched out and longer. Still, I know I’m sometimes the pessimist but are we sure Kelly won’t last another 7 or 8 years? Putting that aside, if we accept 2018 is going to be a season with 2 losses or fewer then it would seem likely that Kelly is going to outlast Swarbrick because of the latter’s retirement at some point. That’s huge because it could lead to as much as a 2-year lag for a new AD to make any major decisions. See, Swarbrick staying put with Weis following 2008 after being on the job for a mere 5 months. Let’s say things play out like this: 11-2 (2018), 10-3 (2019), Swarbrick retires June 2020, 9-4 (2020) I’d be surprised if the new AD fired Kelly in late November 2020 after being on campus for such a short amount of time. I guess my point is the feeling I have right now is that Kelly isn’t going away any time soon and the ability to find his replacement could be vastly different if it’s 3 pr 4 years from now with tons of football games to be played and likely a new AD in power. I was also one at a loss about Kelly following 2016, and the end of last year. I have been thinking lately, though, about how happy I am that in 2012, 2014, 2015, 2017, and now again 2018 (please let it continue!!) it was / is possible to enjoy a real, true glimmer of hope for a championship so deep into a season. Of course the November falterings in the 2014, 2015, and 2017 hurt, and you look at them and say, “Kelly SHOULD HAVE done better”. I was at the 1993 BC game. We sat behind the BC bench in box seats that my dad bought off some professors kid outside the old stadium box office window and wasn’t sure were real until got in. Pete Bercich dropped the interception on BC’s final drive right in our eye line, and when they kicked the field goal it looked like it would go wide for a second. I was on campus for the 2002 BC game. The 2002 loss hurt so much because in the decade since 1993 it was clear year’s like 2002 were probably going to be an anomaly, something that might happen once in a blue moon, when things fall right. Weis’s 2005, and 2006 never felt like that, despite the winning. During 2012 somebody on the old site made a comment after the Oklahoma win that they were enjoying the winning so much that they were reading single every article they could find, just to enjoy the possible. I was doing the same. And can do the same this season, and last, and in 2015 up to the end. So now when I look at Kelly’s last few years, and despite the meltdowns, I feel happy to at least have had the opportunity, in five of the last seven years, to have felt a championship was really possible. This optimism is not my natural state, especially when it comes to ND football. My heart literally pounds the entire game, and sometimes I wish I could just turn off the game and come back to see who won, to keep from taking years off my life. Looking at the list of 30 proposed coaching options from a few years, ago, and how most have been uninspiring, makes me feel even better about Kelly and the state of things now. Maybe it ends badly this year, maybe it ends great. I don;t know. I am just happy right now I guess that with Kelly as he is now I don’t have to worry that I;ll only see ND undefeated in mid October once a decade. I was at BC in ’93, to your rear and up some… oooff! And BC ’02 for that matter. Anyway, well-written, from the heart, and my heart is with you! I think this would be a great article for December, or better yet, February. Kelly may bomb, he may win a championship, or he may end up somewhere in between. Jack Swarbrick always says that he does not evaluate coaches in the middle of the season. I think that is a very good approach. It’s an AP-style report at that point. I prefer to lay it out for ya’ll to play it out. It would be interesting as an offseason discussion to update the list. Presumably, Jack has a list in his drawer if something happened to Kelly. All that said, I think he gets an extension.